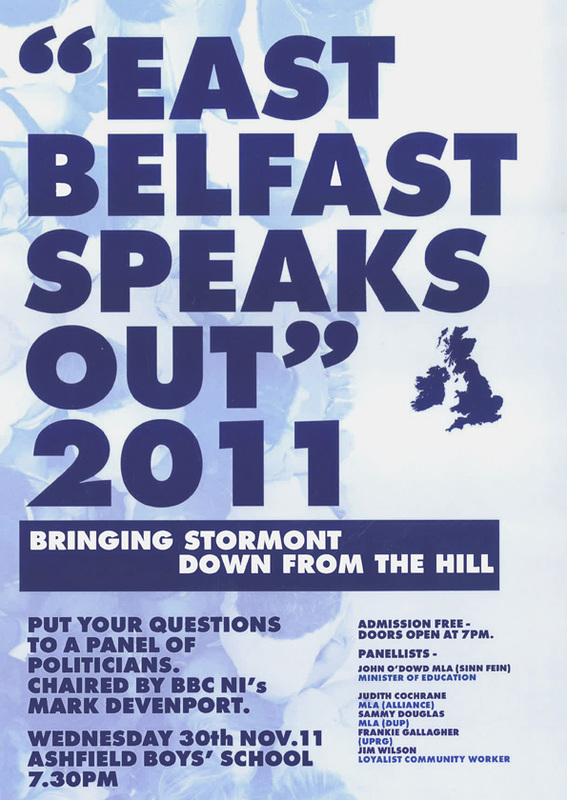 Originally planned and already in place for 30 November 2011, the East Belfast Speaks Out debate had to be cancelled and rescheduled at short notice because of the public sector strike called for that very day, involving the teachers of the province. Because of the change we lost two of our original panellists, Judith Cochrane MLA (Alliance) and Frankie Gallagher (NIPRG), both of whom were already booked to be out of the country in February 2012, the new date for the event. They were replaced by Chris Little MLA (Alliance) and John Kyle (Belfast City Councillor and PUP member) respectively.